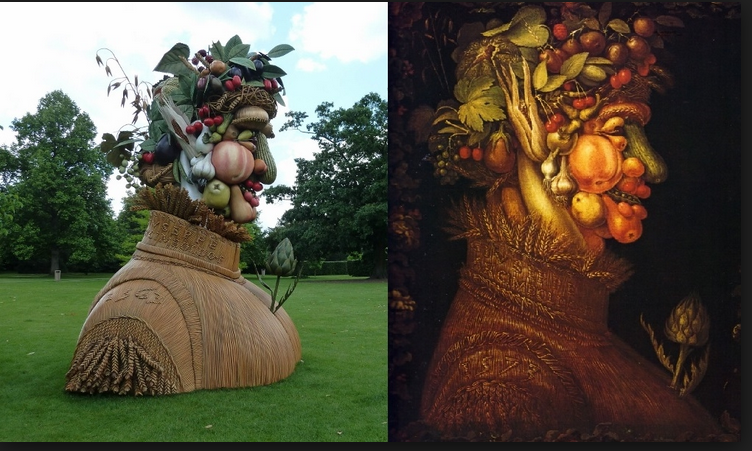 Renaissance master Guiseppe Arcimboldo painted portraits of an arrangement of seasonal produce. 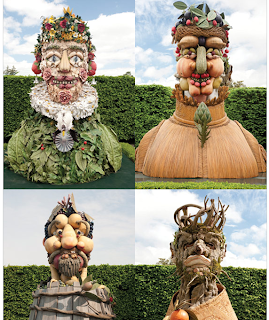 Now artist Philip Haas has contstructed 15 foot tall fiberglass busts to look like Arcimboldo's four seasons. These were recently on display at New York Botanical Gardens. 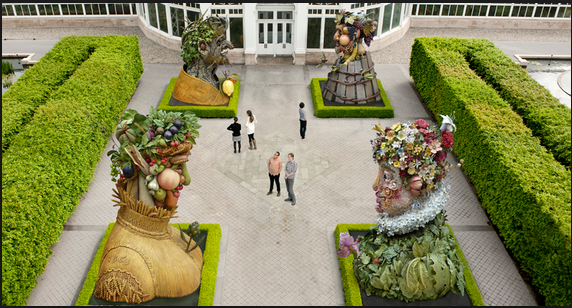 Below are the Haas figures of The Four Seasons. To see more vegetable art on a smaller scale, please check out my website, www.lettuceart.com!